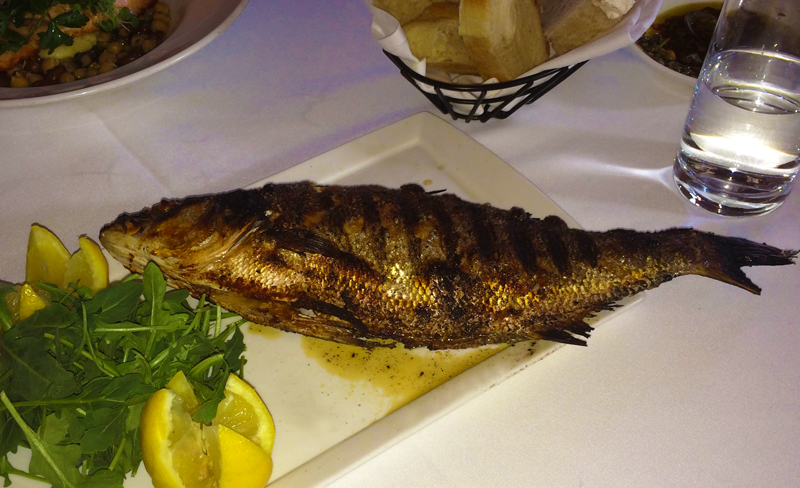 Who can ignore a full grilled crispy Sea Bass with fresh arugula on a menu?! at Piacere. This entry was posted in Food, Gluten Free, Health, Life, Tales, Thoughts & Adventures, Uncategorized, Weight Loss and tagged Dinner, Fish, Food, Gluten Free, Restaurants, Seafood. Bookmark the permalink.